For comic commentary on the government's counterfeit money, please enjoy the historic libertarian money. To paraphrase P. J. O'Rourke, "Giving a printing press to politicians is like giving a distillery to incurable drunkards." 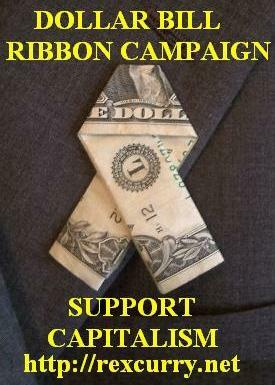 "State governments indeed are more fiscally responsible than is Uncle Sam. The most significant reason is that only Uncle Sam has a printing press. In the U.S., only he can pay his bills by literally making more money. Aware of this fact, creditors face less risk of default by lending to the U.S. government than they face by lending, say, to the State of Kansas or to General Motors. 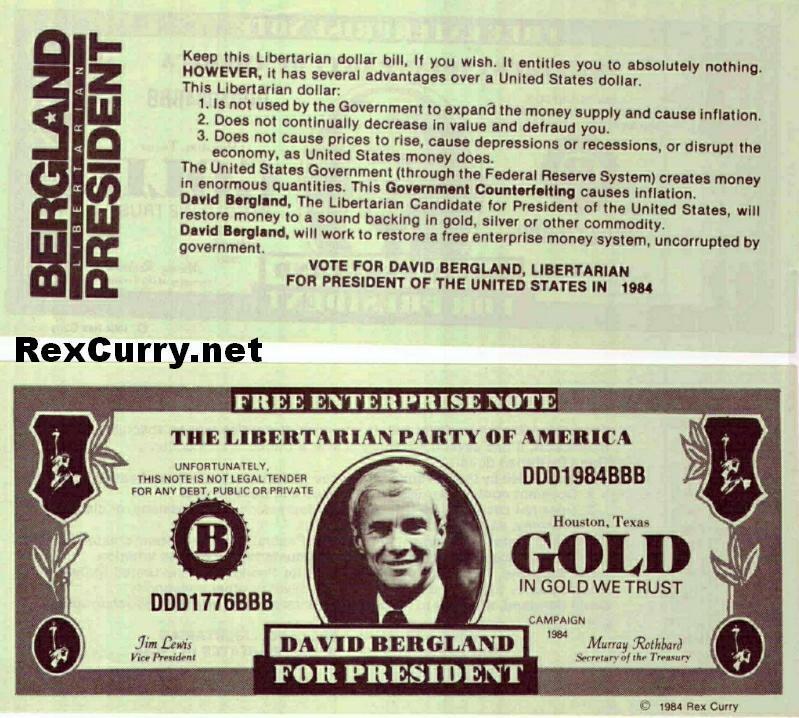 Libertarian Dollar, David Bergland, President Candidate, Counterfeit money, Counterfeiting, Counterfeiters, the government's counterfeit money. A search for the simple "the hatred of money" reveals some odd results.